Walter Magaya was arrested last November by police after seizing an herbal drug known as Aguma, that he says could cure people with HIV/AIDS. Last October, he told his congregation that the drug, named “Aguma”, had the magic power to destroy the AIDS virus in 14 days, Zimbabwean media reported. 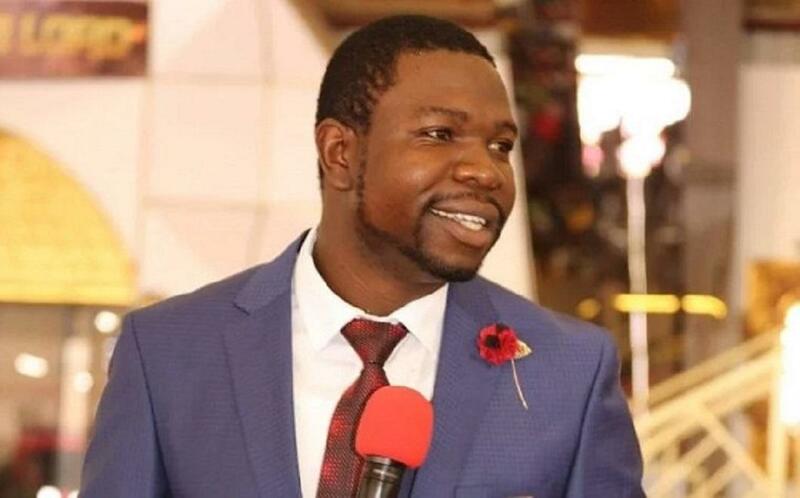 Aged 35, Walter Magaya is part of a group of Pentecostal preachers who emerged during the economic crisis in Zimbabwe, attracting a large number of followers with promises of miracle healing and miraculous money. Then, a court in Zimbabwe has convicted a popular self-styled prophet of fraud and fined him $700 (£540) for falsely claiming he had an herbal (Aguma) cure for HIV and Aids. Walter Magaya earlier pleaded guilty to contravening the Medicines Control Act by selling an unapproved herbal drug: ‘Aguma’. According to the indictment, Walter Magaya and his accomplices destroyed the goods before police raids by throwing them in the toilet and burning containers that were found half-burned. Pastor’s lawyer Everson Chatambudza told the court that his client admitted to breaking the law by distributing it without permission from the Ministry of Health, the state-run Herald newspaper reported. “There was an attempt on part of the accused to comply with the law. Three days before announcement he wrote to the Ministry and notified them of the discovery and about his intention to announce of his discovery a clear indication he was seeking guidance, unfortunately he did not get any response. “The case is a technical fact whereby the accused only skipped the protocols otherwise the word that there is a discovery still stands,” Mr Chatambudza was quoted as saying. Walter Magaya had also launched a lipstick last year which he claimed could improve blood pressure. 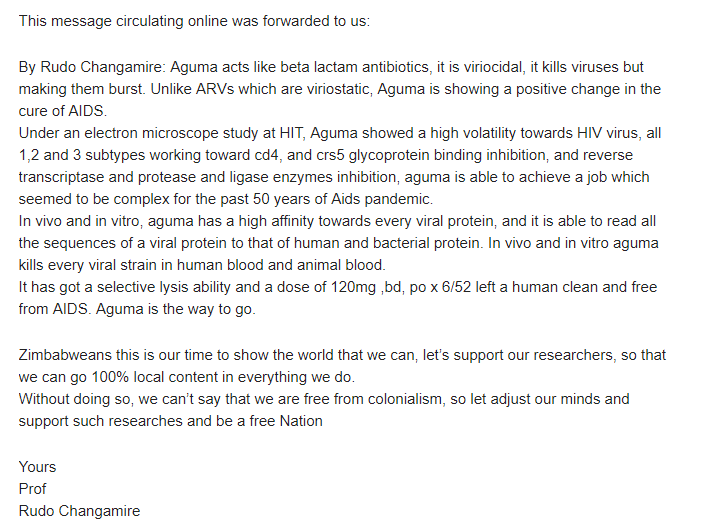 But on 5th November 2018, the Zimbabwe’s Ministry of Health and Child Care on announced that it would work with and conduct clinical trials to test the efficacy of Aguma Onco, an herbal supplement which Prophetic Healing and Deliverance (PHD) Ministries founder Prophet Magaya discovered and claimed would cure of HIV and Aids and cancer being added. “Yes, he has the claim on the basis of the research which was carried in India but that was in India not in Zimbabwe. For the purposes of registration of a drug in Zimbabwe there are regulations to be followed. I also want everyone to know that he holds a licence, and that is the licence which he was basing on. He has always held that licence and it will give him the opportunity to be able to register his herbal complementary medicine either as an allopathic, which will require clinical trials or alternatively as a complementary medicine which will require MCAZ to advise him of the issues not to be stated on the labels,” explained Dr Moyo. Zimbabwe has the sixth highest HIV prevalence rate in sub-Saharan Africa. About 1.3 million people were living with HIV, according to United Nations data compiled in 2016.